Very Good. 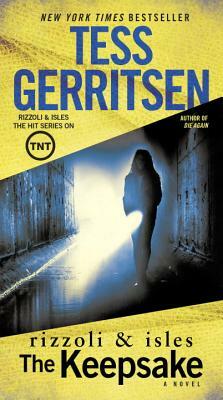 The Keepsake (Rizzoli & Isles Novels) by Gerritsen, Tess, 2016-03-01. Glued binding. 432 p. Rizzoli & Isles Novels, 7. Very Good. The Keepsake by Geritsen, Tess. Mass market (rack) paperback. Glued binding. 418 p. Rizzoli & Isles Novels. Good. The Keepsake by Geritsen, Tess, 2009-09-05. Mass market (rack) paperback. Glued binding. 418 p. Rizzoli & Isles Novels. Very Good. The Keepsake by Gerritsen, Tess. Sewn binding. Cloth over boards. 349 p.
Tess Gerritsen's plots are so excellently constructed that the stories come alive in ways few Authors have achieved. Tess gerritsen is terrific and this book was no exception. I have read all her books. she keeps readers in suspence. She takes us on a thrill ride that never ends. When the book is finished your left wishing it never ended.